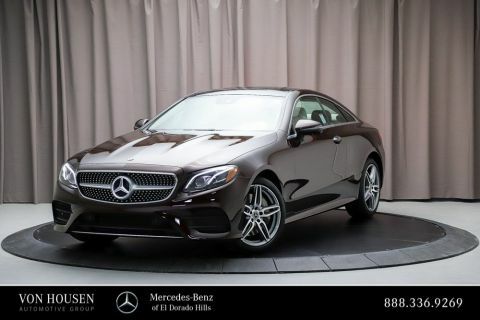 If you’re shopping for a luxury sedan , Mercedes-Benz of El Dorado Hills has a quite a few to offer. Here, you’ll find the newest Mercedes C-Class, E-Class, and S-Class sedans, as well as the lavish E-Class Wagon. Every Mercedes-Benz sedan is expertly crafted with refined powertrains, state-of-the-art technologies, and innovative comforts. To get an idea of what each class has to offer, simply check out our overview below! Sleek and highly-rated, the 2018 C-Class Sedan has standard 4MATIC® and Plug-In Hybrid configurations. DYNAMIC SELECT®, coupled with a series of 9G-TRONIC® automatic engines and intuitive driver controls create an unforgettable experience that make the driver the center of attention. 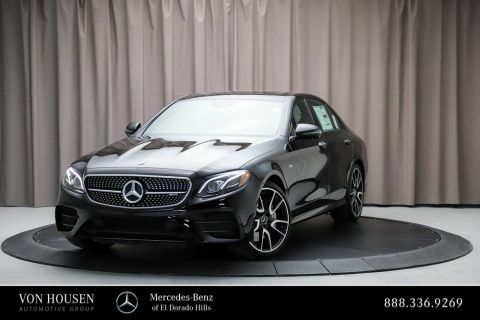 Named the number one midsize luxury sedan by U.S. News and Reports, the mid-level 2018 E-Class Sedan is as clever as it is capable and stylish. Car-to-X Communication lets Gold River E-Class drivers send alerts to one another when they spot a problem in Folsom or Rancho Cordova, while features like a 12.3-inch central display, Apple CarPlay®, and COMAND® navigation with voice control streamline everyday commutes. The E-Class also keeps you comfortable with contoured seats and 64-color LED ambient lighting. The 2018 S-Class Sedan summarizes the luxury segment with powerful V6 and V8 engines, air suspension, and a handcrafted interior. As the E-Class Sedan’s bigger sibling, the S-Class offers technology in spades, including a panoramic panel display, Energizing Comfort Control, and wireless charging pad. Majestic through and through, the 2018 S-Class Maybach is offered in two trims and with V8 or V12 biturbo engines. The spacious cabin features extended wood trim, heated front and rear seats, diamond-quilted, button-tufted Exclusive Nappa or designo® semi-aniline leather, and 64-color ambient lighting with controlled zones and select themes. Few can rival the 2018 E-Class Wagon ’s panache, utility, and technology. The E-Class Wagon includes many of the same features as the E-Class Sedan, plus a few extras like standard load-leveling, a parcel net, elastic side strap, vertical net, and self-rising cover inside its power liftgate, plus seating for up to seven! The 2018 Mercedes-Benz Sedan lineup offers a wide range of luxuries to suit your style and tastes. Schedule a test drive online to start the buying process today!